Amar Dawod is an Iraqi painter, sculptor and graphic artist residing in Sweden. 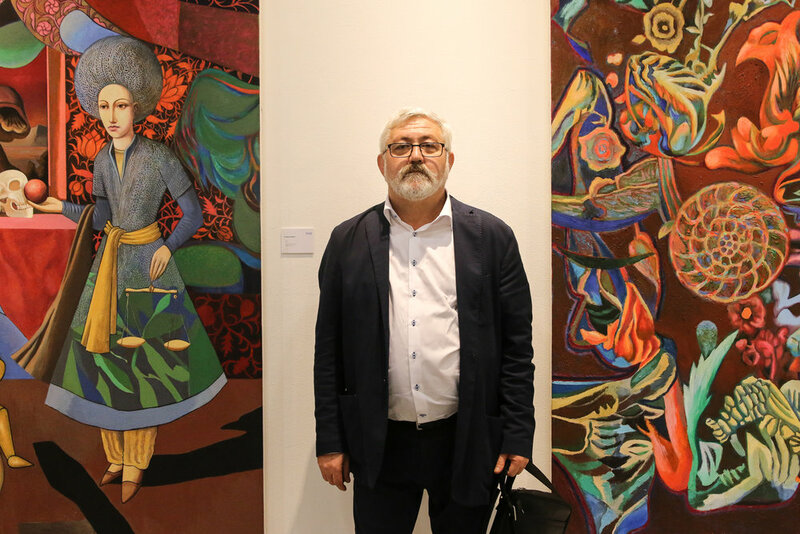 He holds degrees from the Institute of Fine Arts in Baghdad (1977,) Kostakademin in Poland (1987,) and Animations Hus in Sweden (1991.) He has exhibited work throughout Europe and in the United States. 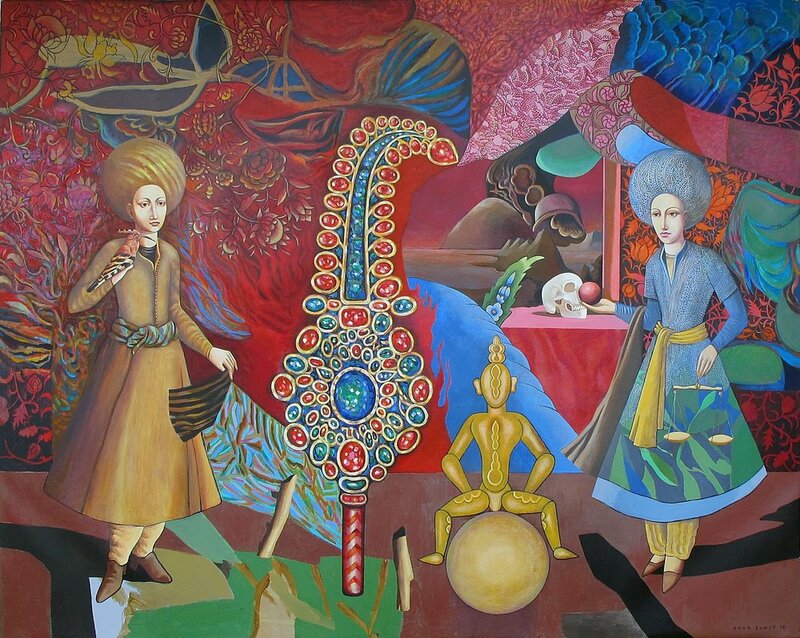 triving towards universalization is typical theme of Amar Dawods art. This doesn’t mean conventional cosmopolitsm. Dawod doesn’t submit to the naivety of local folklore. He is aware of the fact that underneath the layer of dust and rocks there are values unbelievably pure. He references these cultural traditions, which, due to their universal properties, have crossed borders both geographical and cultural. The secret world of ancient Egypt, Sumerian sculptures, and beyond that the fascination with informal art and surrealism are the cornerstones of the formation of Dawod’s art. The creation of a universal language, not blocked by the tradition of one Nation, has become the basic message… While observing the works of Amar Dawod, we are not only reminded of the creativity of Kafka, but also the whole world of suggestion, which has brought with it: illusion, symbols, metamorphosis, the feeling not existing, restraint, unease and alienation… The world of this art is hard to comprehend: we receive it through its atmosphere.